eobiont - A new brand flavor for a gourmet curry wurst stand. A new brand flavor for a gourmet curry wurst stand. Dom Curry is a curry wurst stand at a major tourist attraction in Berlin. Out of a traditional Berlin fast food they had created a gourmet experience. 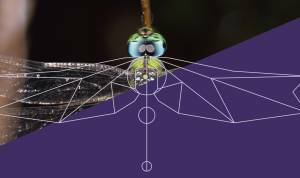 eobiont gave them a new brand look to fit their market positioning. 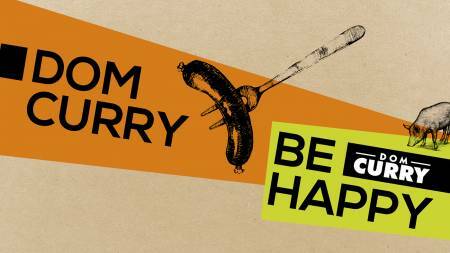 Our new slogan – Dom Curry, Be Happy – was supported by fun and pun filled copy on the menu and signage. Typically sold at food stalls around the city, curry wurst is a quick and inexpensive snack or meal that has become a symbol of Berlin. It is made from grilled sausage and a curry sauce. The Hilton hotel, located near a landmark cathedral (Dom), decided to create a gourmet stand there, which they called Dom Curry. 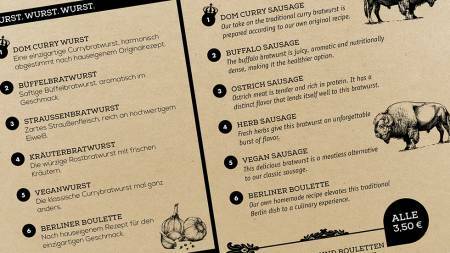 In addition to a fancy version of the standard curry wurst, they also offer more exotic options like ostrich sausage and a variety of sauces. They needed a brand identity to match. After going through our Design Dash process, we came up with a look that spoke to both the cultural tradition of curry wurst, but also made it look upscale and hip. Since most of Dom Curry customers were either tourists visiting the Dom or business people working in the nearby high-rent district, we wanted to bring a more international and entertaining flair to the experience. 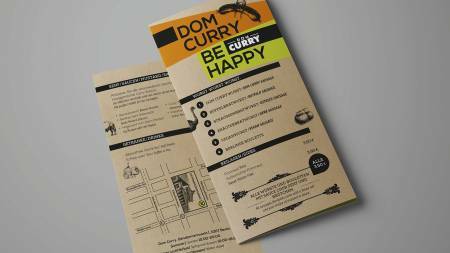 Our new slogan – Dom Curry, Be Happy – was supported by fun and pun filled copy on the menu and signage. 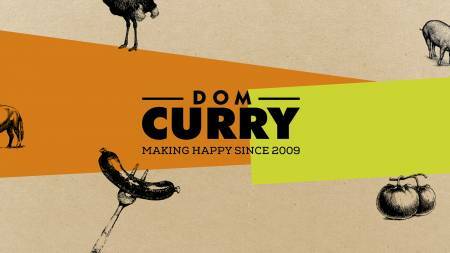 The Dom Curry brand design project was not one of our biggest projects, but definitely one of the most fun.